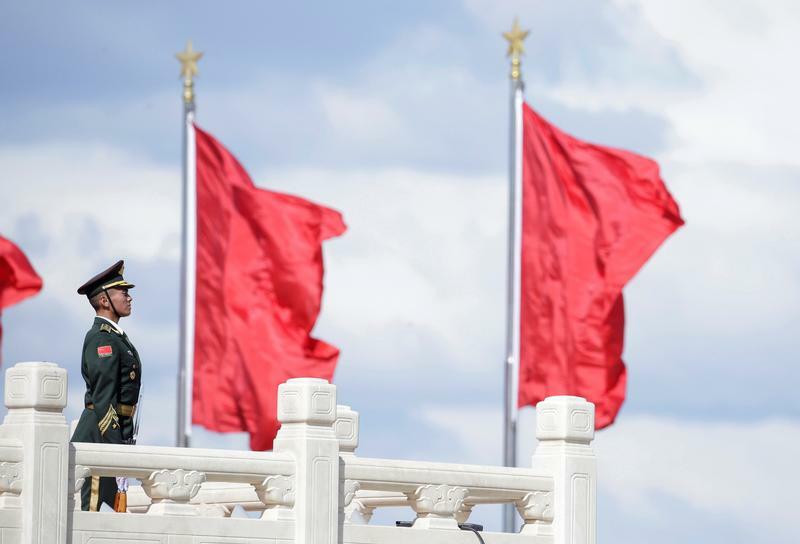 A soldier stands guard next to red flags at Tiananmen Square in Beijing, China September 30, 2018. Picture taken September 30, 2018. Guo Yuhang, co-founder of Chinese peer-to-peer lender Dianrong, told employees that the company’s growth has slowed due to government policy, Reuters reported on March 18, citing an internal memo it had seen. “It was not because we did not want to or could not grow,” Guo wrote. “It was because we were told not to grow”. Dianrong is closing 60 of its 90 stores and laying off an estimated 2,000 employees, Reuters reported on March 1, citing an unnamed source.